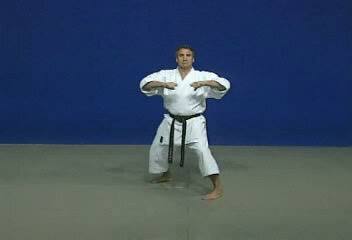 A tutorial of Hangetsu kata from Shotokan version performed by Serge Chouraqui. The first part of this video repeated from 2 angles. Tomari Bassai kata performed by Nao Morooka from Japan. This kata was performed in Japan Karate Open 2005.